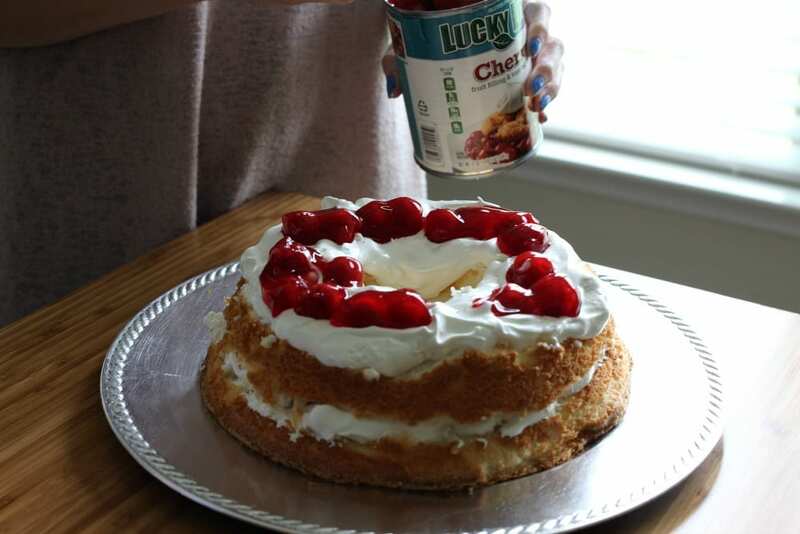 This Layered Cherry Angel Food Cake requires 3 ingredients and about 15 minutes of your time. It’s easy, delicious and a crowd pleaser. I took a cooking class about 19 years ago and walked away with a ton of recipes and tips, which made this newlywed very happy. It also helped me feel more equipped for cooking meals for my husband and I, as well as having company over. 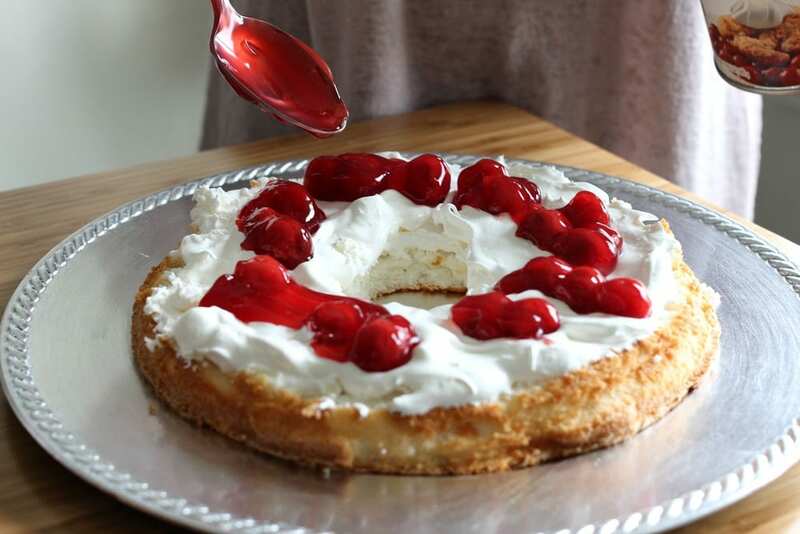 One ingredient I try to keep on hand for spur of the moment desserts is cherry pie filling. It’s magic. It can help you throw together (or dump — hence the name) a cherry dump cake, ready and on the table with a heaping scoop of vanilla ice cream in less than an hour. (This dessert is perfect for fall and winter because it warms your tummy like you would not believe.) 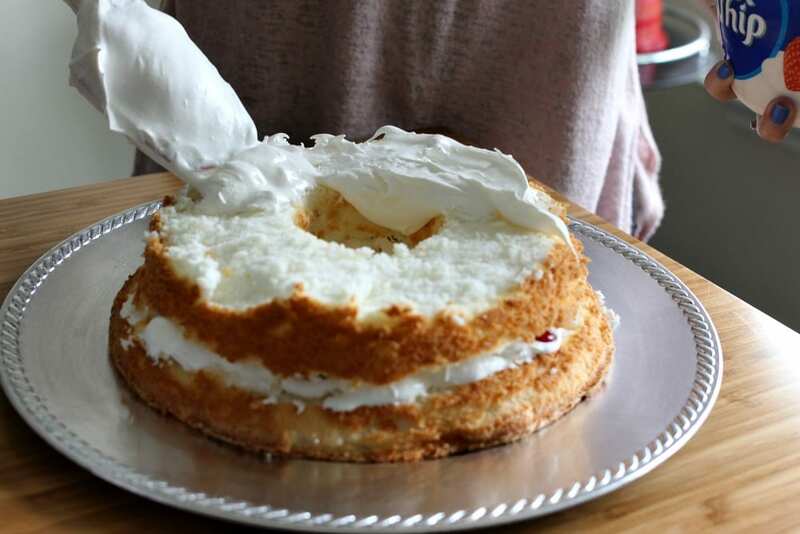 Or a beautiful and delicious Layered Cherry Angel Food Cake which requires absolutely no cooking and about 15 minutes of your time (if you use a prepared angel food cake that is). 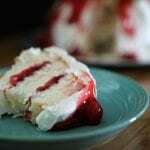 This is a dessert perfect for those hot summer days. 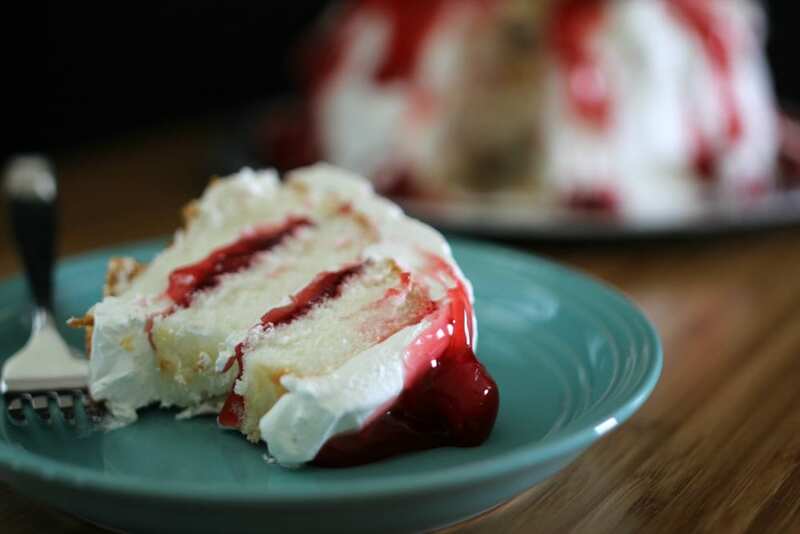 If you like cherry pie filling, Cool Whip and angel food cake – this dessert is for you. 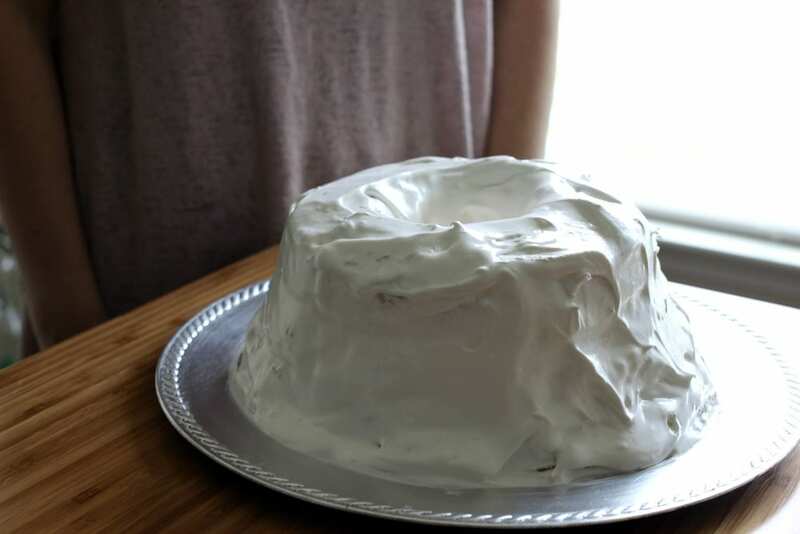 Watch this video which takes you step by step through the process; or keep reading for the written recipe with step by step pictures. 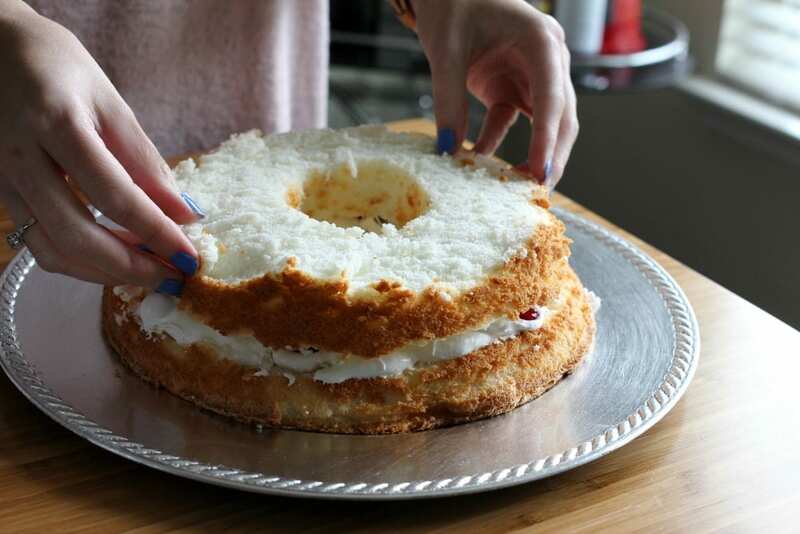 Step one: Cut the angel food cake into three even layers. 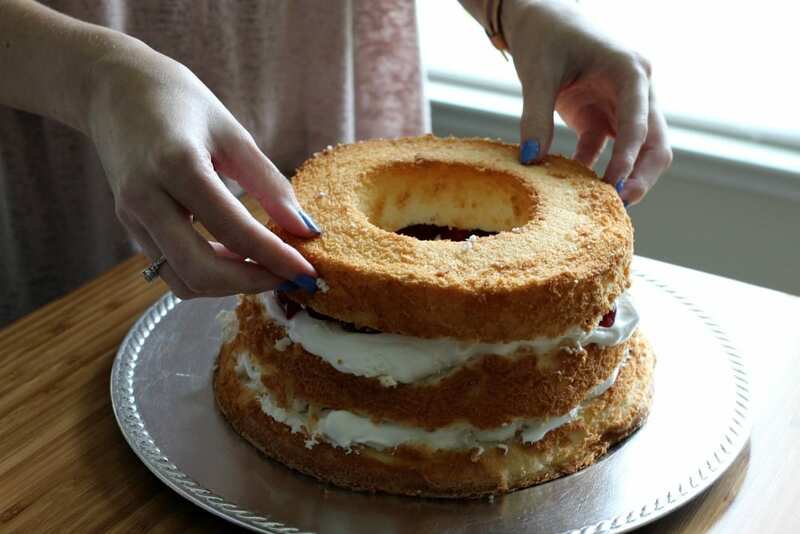 Step two: On the bottom layer, spread Cool Whip and Cherry Pie Filling. 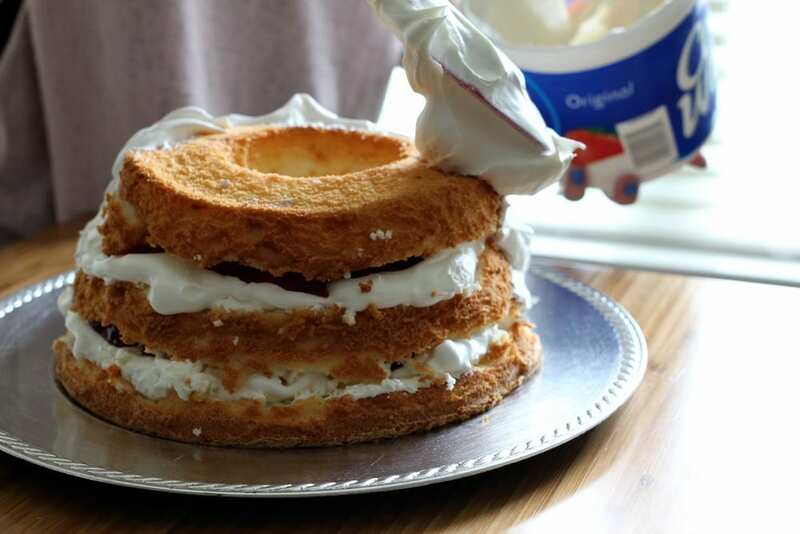 Step three: Place second layer on top of first; spread more Cool Whip and Cherry Pie Filling on second layer. 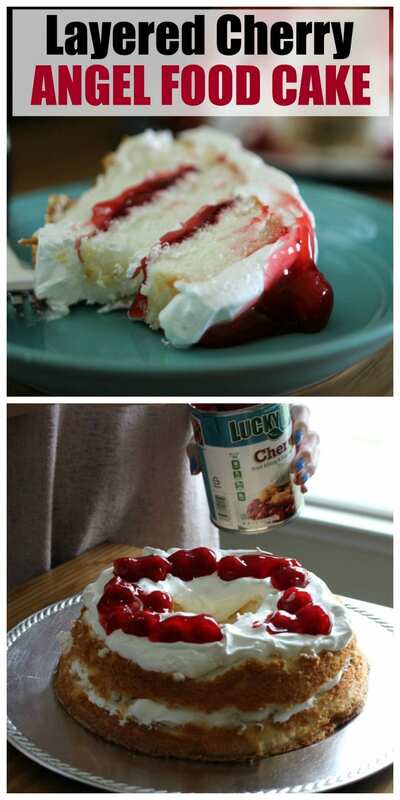 If you need to prepare a dessert in a hurry or you need something very easy to make for guests, this is perfect. 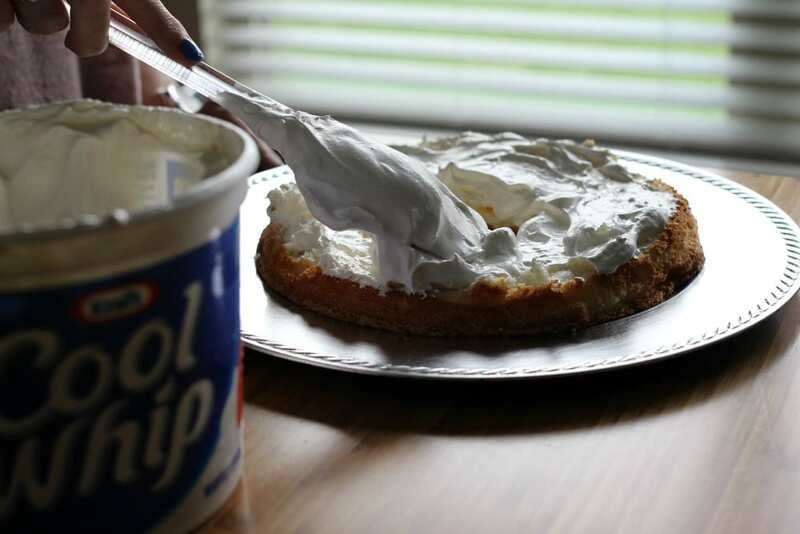 The mixture of the light angel food cake, the creamy Cool Whip and the tang of the cherry pie filling go together perfectly. Have you had this before or something similar? Also, what’s your go-to dessert when you’re in a hurry? Step five: Spoon cherries on top; and drizzle down the side if you'd like.